A new circuit racing category has been created for South Africa’s youngest active motorsport competitors. Replacing the former Kadet class, the Bambino category will feature karts with 77cm wheelbase frames at a 70kg minimum weight limit. They will be powered by Bambino Service Centre-sealed C50 engines, with a novel engine buy-out/buy-back system in place to ensure parity. At any time in the season, a competitor can insist on buying a rival driver’s engine for a total of R16 500 – the price of a blueprinted new Bambino powerplant. That should prevent any competitor’s parents from spending a mint on engine modifications as the season rolls on. Cost saving will be another mantra. Entry fees will be reduced for 2019. New tyres are not required and with just one set of durable tyres, drivers can race a whole season. All competitors will qualify for a yearend raffle to win either a complete new Bambino kart or a Rotax Micro Max engine for their use in the following season. The prizes are valued at R35 000. All of which apart, the Bambino class will contest a full-scale South African Championship as part of the Rotax Max Challenge. Karting is tightly regulated and controlled both locally and internationally. 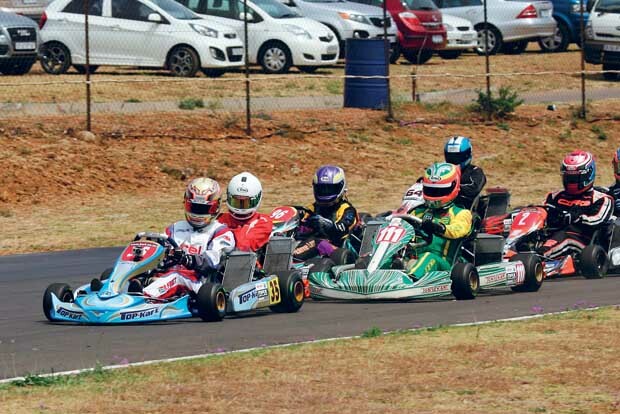 Its structures lead drivers up through the ranks with SA Rotax Max karting champions invited to the World Finals every year. Bambino will run as part of the 2019 South African Rotax Max Challenge, starting in Cape Town before moving on to Port Elizabeth, KwaZulu-Natal and then to the Pretoria final, while the African Open will be held in Vereeniging.